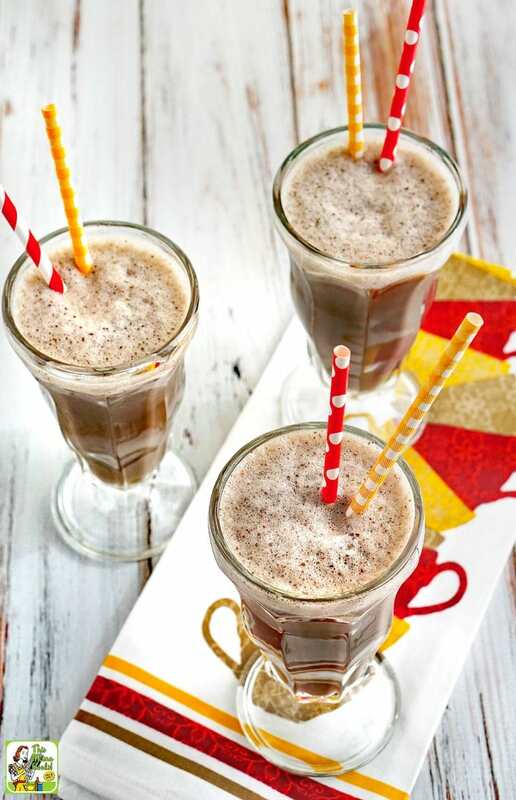 Try this Coffee Breakfast Smoothie as a wholesome and easy way to start your day. This yummy smoothie will get you going with a delicious boost of chocolate flavored coffee, almond milk, and cherries! You’ll love how convenient this easy coffee smoothie recipe is. 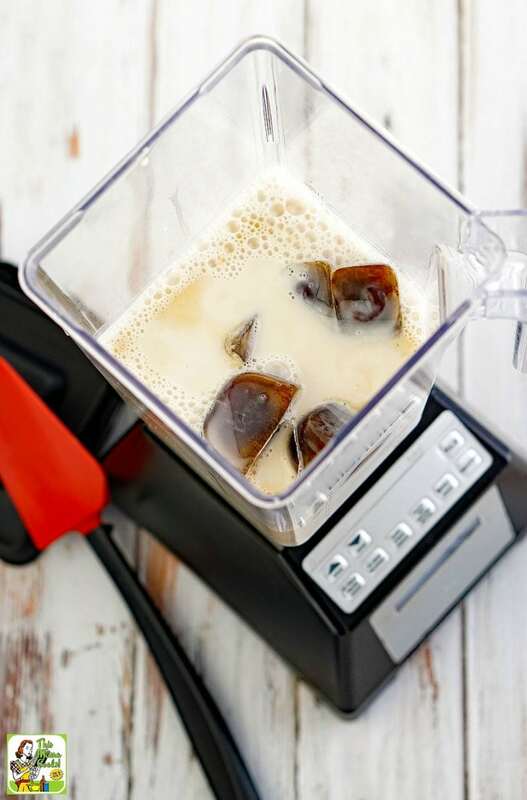 No more spending time waiting in line at your favorite coffee shop when you can make a healthy coffee smoothie at home in just a few minutes. 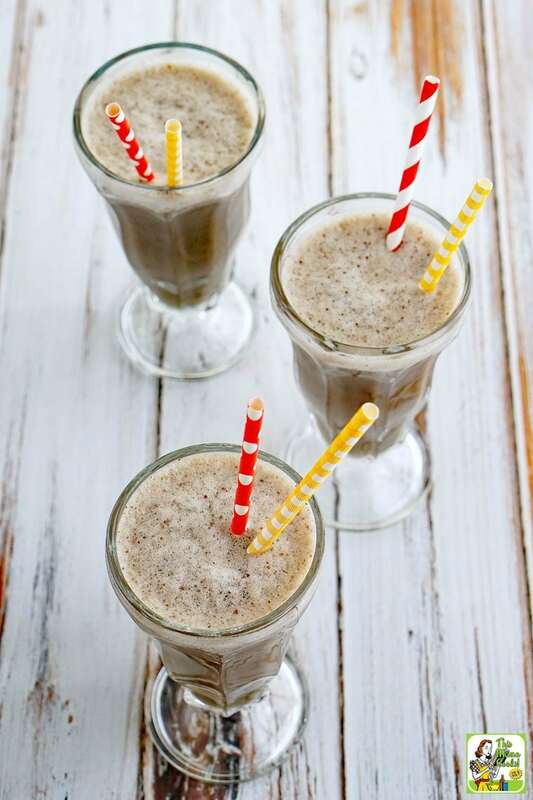 Best of all, this coffee shake recipe is dairy free, lower in calories and sugar, and way more nutritious than those super high calorie frozen coffee drinks you order out. Not only will your waistline thank you, but so will your bank account! 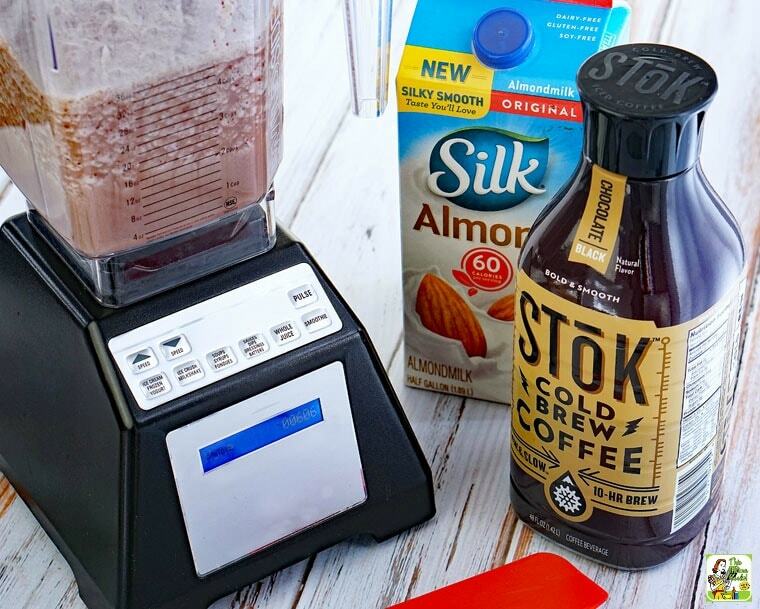 What makes this Coffee Breakfast Smoothie so special is STōK™ Cold Brew Coffee, Black Chocolate. STōK coffee brews their Arabica-beans using a higher ratio of beans to water. This process makes their coffee smooth, bold and delicious – and not at all bitter. I found their Black Chocolate brew to be amazing! It’s hard to believe that a one cup serving has only 45 calories. 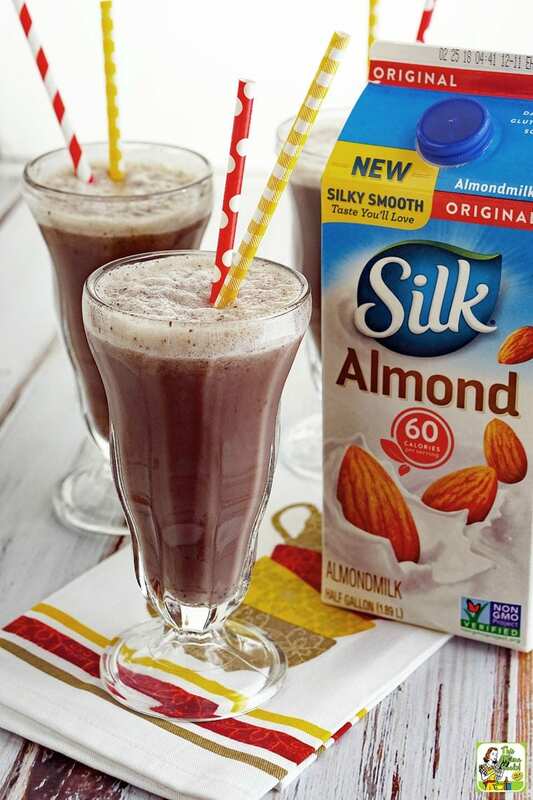 To make this easy coffee smoothie recipe dairy free, I used Silk® Original Almond Milk. This is my son’s preferred smart swap for milk in shakes, so we always have it in our refrigerator. I like that a one cup serving has only 60 calories, no cholesterol, no saturated fat, 1 gram of protein, and 50% more calcium than dairy milk. Finally, to add a little fruit and fiber to my easy coffee smoothie, I added some frozen raspberries and cherries to my easy coffee smoothie recipe. 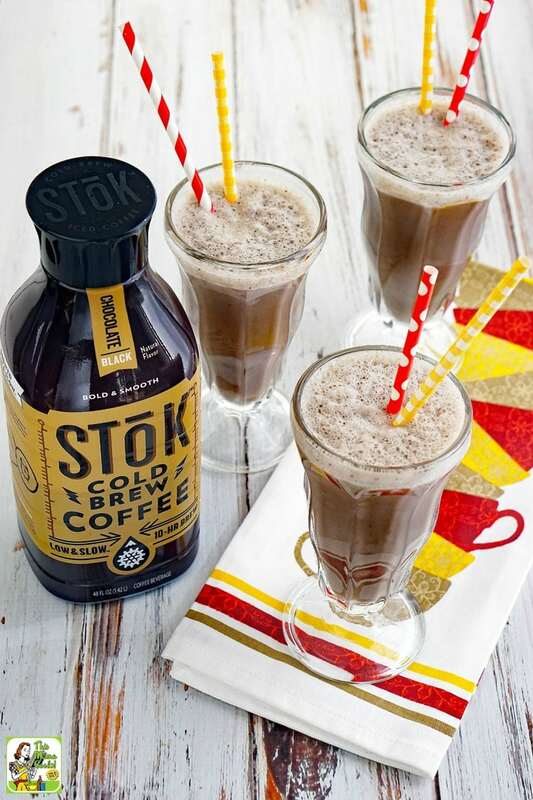 To make this recipe super convenient – and easy when you’re half awake in the morning – I made STōK Cold Brew Coffee and fruit ice cubes ahead of time (see the recipe below). 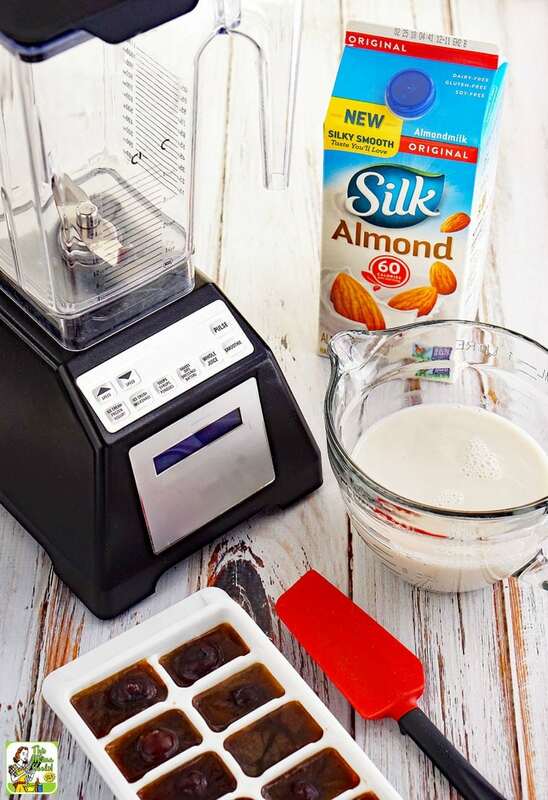 So, all you have to do in the morning is add the almond milk to a handful of ice cubes and process in your blender. 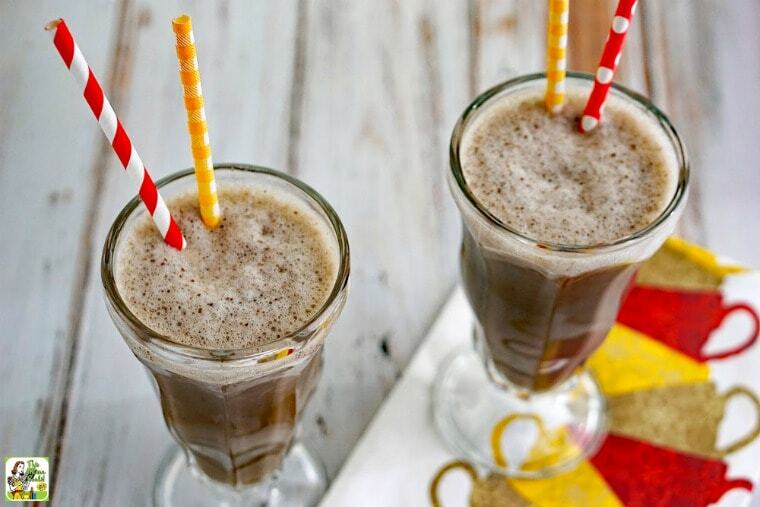 Then, voila, you have a Coffee Breakfast Smoothie! You can find all these wonderful Dannon® products at your local Publix supermarket along with the frozen fruit. Check out the Publix Morning Moments website to discover more Dannon products and additional “Perfect Pick-Me-Up” recipes! If you want to lower the sugar content and calories, you can use Silk Unsweetened Almond Milk or Silk Unsweetened Vanilla Almond Milk. Both varieties only have 30 calories per cup. 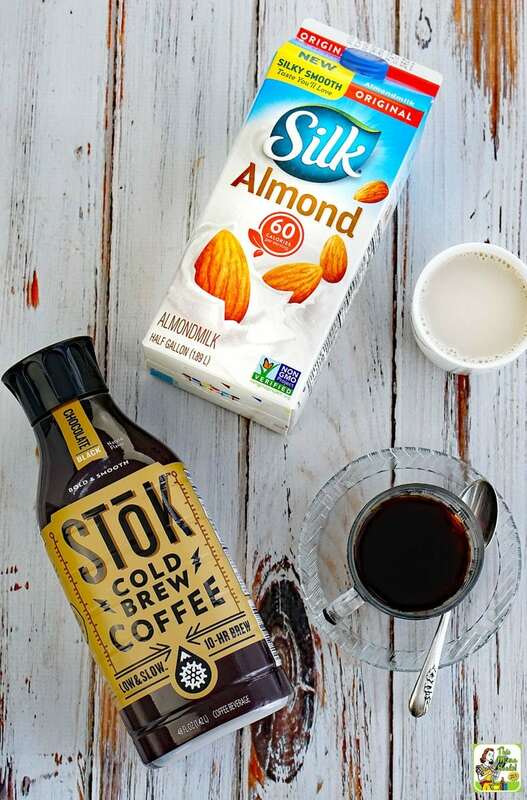 You could also use one of the unsweetened STōK Cold Brew Coffee brews, too. Then add some stevia, monk fruit powder, another type of no calorie sweetener or a no-calorie coffee syrup. You can use other frozen berries in your healthy coffee smoothie, like blueberries and boysenberries. Or try some cut up pieces of strawberries. Want more protein in your Coffee Breakfast Smoothie? Add non-dairy based protein powder or pasteurized egg whites. Place 1 large cherry into each square of a 16 cube ice cube tray. 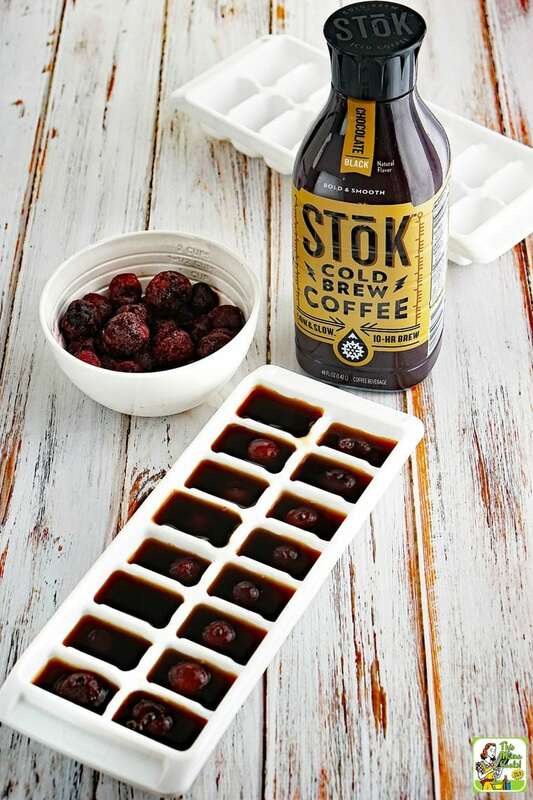 Pour STōK Cold Brew Coffee over cherries and freeze. Pour almond milk into a blender. Add coffee and fruit ice cubes and process until frothy. Pour coffee smoothie into a glass (serve with a straw) or a to-go smoothie shake cup. Posted in Breakfast, Gluten Free, Recipes and tagged coffee, dairy free, smoothie recipes, vegan on June 8, 2018 by Anne-Marie Nichols. Next post These Ice Cream Cones Cupcakes won’t melt!